Hello! We are introducing FBA - Pumpkin today, another great addition to the Favor Bag line! 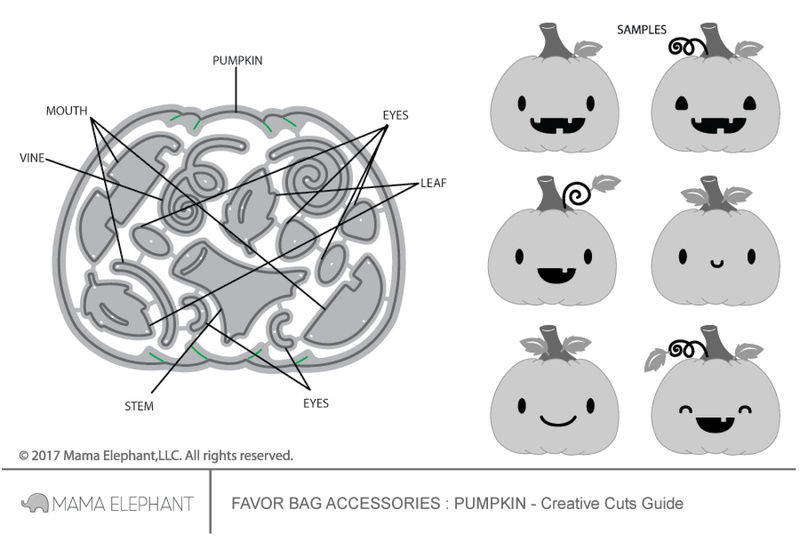 And it's another fun one giving you many options to customize your pumpkin faces. They're so fun and easy to make! I also cut grass from Grassy Trio to ground the pumpkins a bit. Take a look at all the FBA - Halloween and FBA - Pumpkin bags I created for this release! I'm so ready for Halloween! Remember, Reveal and Release is tonight! And we will see you back here for the Special Spooky Release tomorrow! Oh my gosh, these are adorable!!! Especially with that mouse!! These are going to be perfect for my Halloween treat bags.BRILLIANT. They're so stinkin cute I can't stand it! This is fabulous! I <3 pumpkins! Halloween is my absolute favorite holiday!!!! Love these they are super cute!! Oh these are so FUN!!! LOVE!! Can't wait! These are so cute! Oh my goodness what fun stampedes. I am feeling the spookiness. Wish I could enjoy the road tour of Kathy R in New York when I'm there.